Keywords: Type 2 diabetes, prevention, beta cell, lifestyle modification, empowerment, insulin resistance. Keywords:Type 2 diabetes, prevention, beta cell, lifestyle modification, empowerment, insulin resistance. Abstract:Background: Despite a number of innovations in anti-diabetic drugs and substantial improvement in diabetes care, the number of people with diabetes continues to increase, suggesting further need to explore novel approaches to prevent diabetes. Type 2 diabetes (T2DM) is characterized by beta cell dysfunction and insulin resistance. 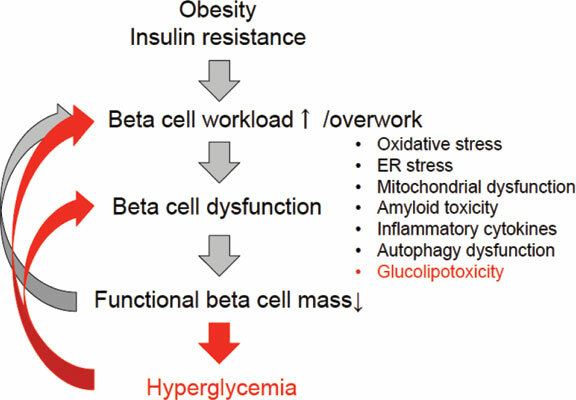 However, insulin resistance, usually a consequence of obesity, is often emphasized and the role of beta cell dysfunction in T2DM is less appreciated.